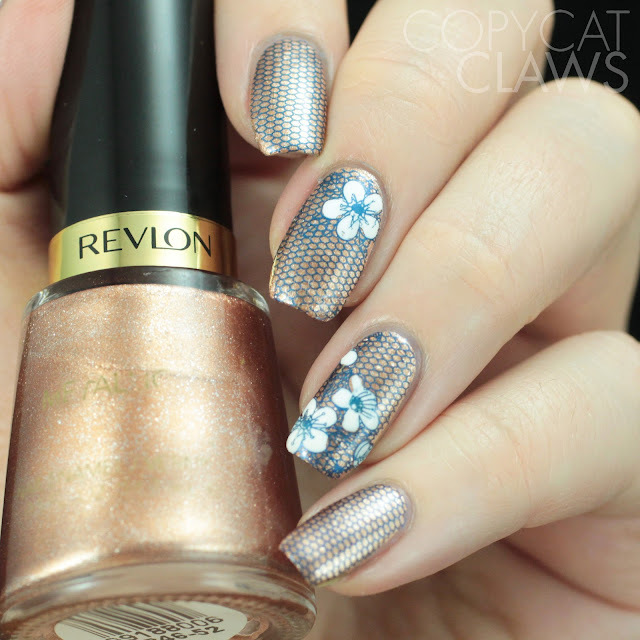 As a "copper" base I used two coats of Revlon Copper Penny. I thought with a name like that it'd be appropriate but it really doesn't look copper at all. I should've gone with the only other aptly named polish I have, Hit The Bottle's Copper-Haired Girl. 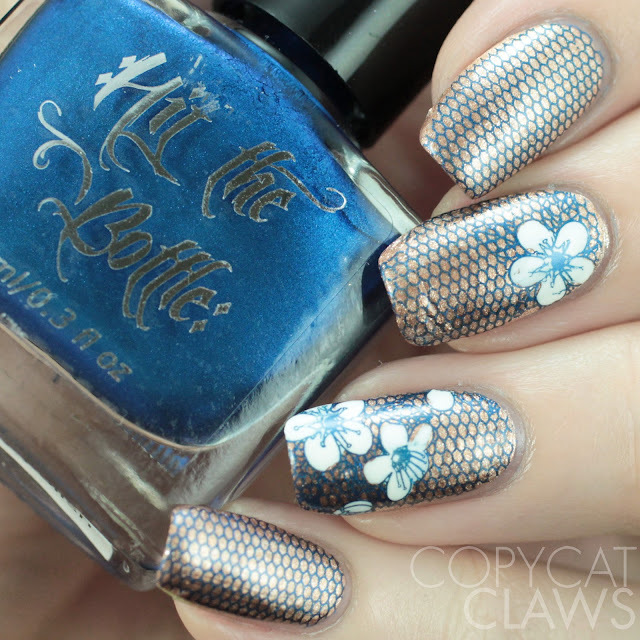 I did however go with a Hit The Bottle stamping polish, I Blue It All On Polish. 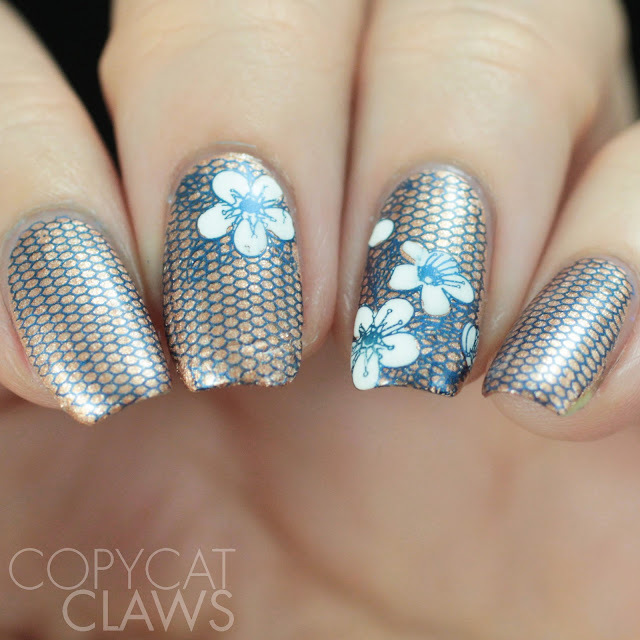 For the middle two nails, I did reverse stamping by filling in the flowers with white. Both the flower-y image and the plain lace image are on Moyra Lacelove 2 (#31). 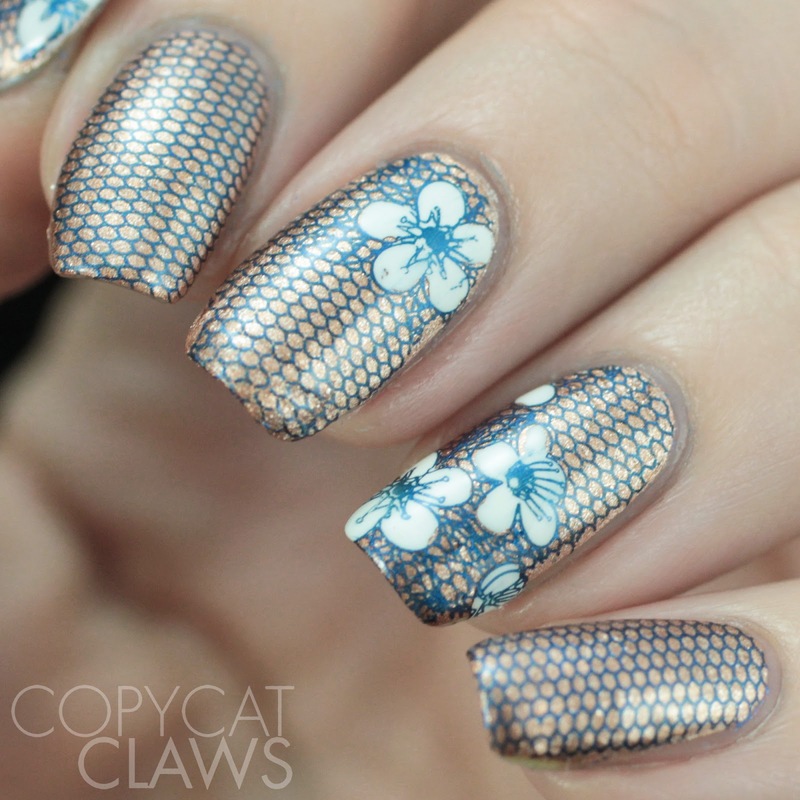 If you like lace nails, this plate is a good one since there's a ton of lacey images on it. 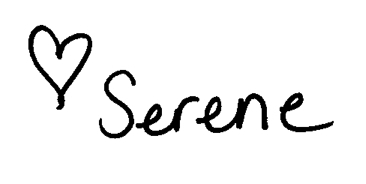 That's really all there is to say about these. I can't wait to see what the next color combination picked will be!